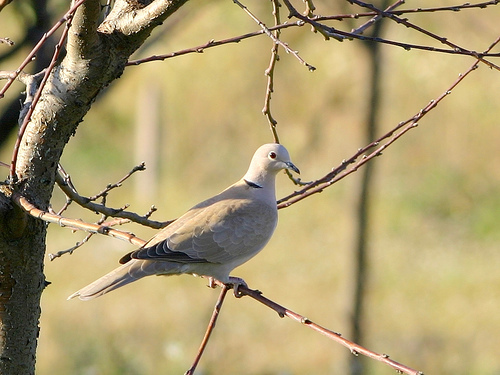 In the last 50 years the Collared Dove has become a common breeding bird throughout western Europe. It has adapted well to the human environment and in the garden it shows no fear of human beings. 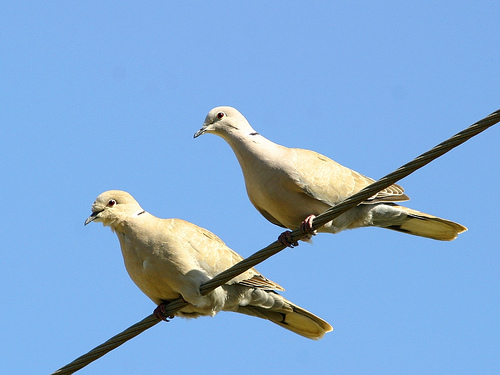 The Collared Dove has a beige colour, the Turtle Dove has brown wings. The Collared Dove has a distinctive black stripe in the neck.